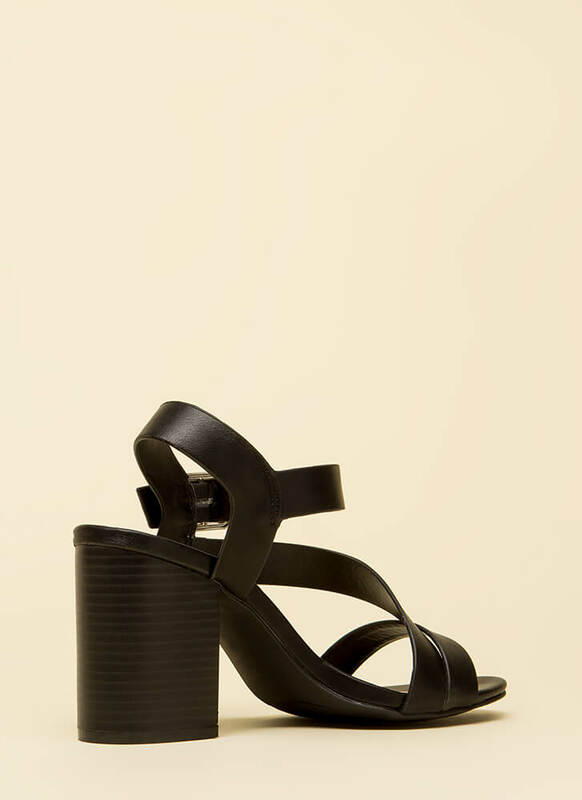 You can wear these versatile heels everything -- they're ready for anything! 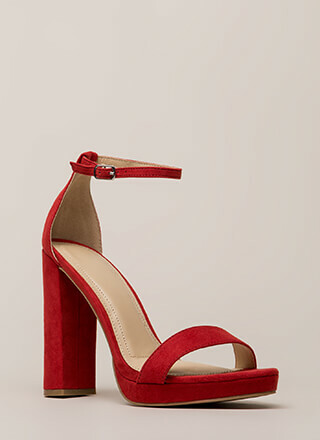 Chunky, open-toe, vegan leather heels feature a single toe strap, a diagonal vamp strap, an ankle strap with an adjustable buckle, and a block heel with a stacked surface. Shoes are finished with an exposed heel and a ridged sole.